Home > OCT 2017 > Star Health Insurance launches first-ever insurance policy for persons diagnosed with cancer...! Star Health Insurance launches first-ever insurance policy for persons diagnosed with cancer...! Chennai, October 24, 2017: Star Health and Allied Insurance, the country’s first standalone health insurance company, today launched Star Cancer Care Gold — a first-of-its-kind health insurance for persons already diagnosed with cancer. Star Cancer Care Gold provides cover upto Rs 5 lakh to anyone between the age of 5 months and 65 years who have already had stage 1 and 2 disease. The plan covers risk of recurrence, spread of cancer (metastasis) and second cancer (second malignancy). The plan also covers cost of regular hopitalisation expenses for non-cancer related ailments. A unique feature of the insurance policy is that it can be bought without prior medical screening. Customers can submit previous medical records, including details of latest treatment, along with their proposal forms. In other benefits, Star Cancer Care Gold offers a lump sum payout of half the entire sum insured soon after diagnosis of the disease. The policy also covers surgical and non-surgical as well as interventional treatment for non-cancer related diseases, accident cover, etc., thus providing the benefits of a regular medical insurance. 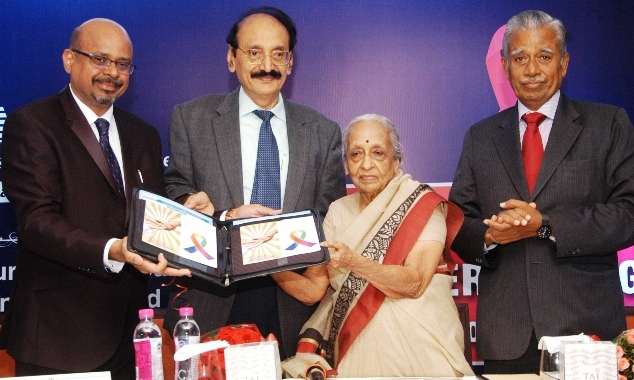 Dr. V.Shanta - Chairman & Executive Chairman of the Cancer Institute (WIA) Chennai. “Our network is spread across every state in the country and we hope to reach out to as many cancer survivors as possible, giving them financial protection against cancer & other diseases also.” Star Health Insurance Executive Director and Chief Marketing Officer Anand Roy said. Star Health and Allied Insurance has launched Star Cancer Care Gold as a pilot product, as per IRDAI guidelines issued in 2016.